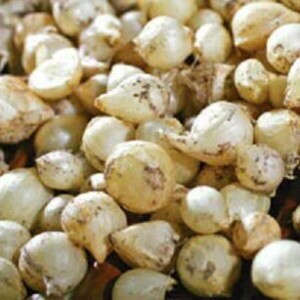 “Growing wild onion (Allium Odorum L) requires low investment, however, high economic efficiency than other vegetables. Moreover, wild onion (Allium Odorum L) is a wonderful spice and also a Vietnamese traditional medicine for good health” said Mr. Nguyen Quan, Kim Long hamlet, Hai Que commune, Hai Lang district, Quang Tri province. Model of planting wild onion is in the activity of the project “Strengthening adaptability and reducing climate change in agricultural production in sandy area of Quang Tri province” (FLC-01-12), is funded by Embassy of Finland and Centre for Rural Development in Central Vietnam (CRD) implemented. Wild onion as known as Allium Odorum L, is a fairly common plant in Quang Tri province. However, people often cultivated traditionally on a small scale, therefore, low quality and products are not commercial goods. With the support of projects FLC-01-12, the model of planting wild onion on a market based scale has been carried out and replicated in Hai Que, Hai Duong, Hai Ba communes, Hai Lang district with an area of ​​5 ha. This activity aims to exploit the advantages of the sandy area, and adapt climate change. Until this time, wild onion has built brand name and determined as a strength plant in sandy area of Quang Tri province. Recently, CRD cooperating with local governments have promoted to create brand names for chilli and black bean with green pulp. Parallel with creating the brand names is to link producers with local enterprises. This activity has helped people solve agricultural production. With the norm is to help people “having a good harvest – good price”, as well as creating a “favorable trading – long-term cooperation” environment, the link between local people and enterprises is increasingly tightened. With the attention of the local government as well as technical support from the CRD, hopefully, in future wild onion has a solid position in the market, not only in the province but also reaching out to other provinces all over our country./.